This dish is so simple to make, yet it’s absolutely delicious. My sister-in-law fixed it for us recently and then generously gave me the Junior League cookbook that the recipe appeared in. Thank you Sarah! Preheat oven to 375 degrees F. Scrub potatoes and cut into wedges. Place wedges, skin side down, in a single layer on a baking dish. 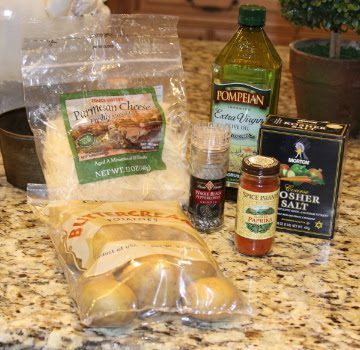 Mix remaining ingredients in a small bowl and brush evenly over potatoes. Bake 1 hour or until potatoes are tender. Serves about 6.